The National Science Education Standards (NSES) for this Life Science topic call on students to appreciate the interrelationships among plants, animals, and their environments. In this guide, "environments" include both living (biotic) and nonliving (abiotic) components. Science textbooks and the Internet describe organisms and their environments using common terminology, such as habitats and biomes; food webs, behavior, and populations; and so on. This web guide provides links to teacher- and student-friendly core content, inquiry, and aligned assessment websites. Some of the examples enable teachers to develop meaningful lesson plans and activities that help students understand organisms and their environments. A team of experienced science teachers reviewed and evaluated each website before submission, and all resources correlate with the NSES. SciGuides are really fantastic. 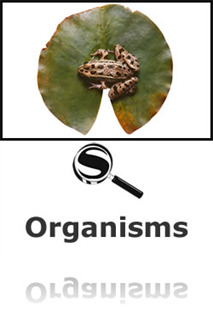 When it's time to teach life science, I can be confident knowing I'll have the Organisms: Grades 5-8 SciGuide to go to for lesson plans, simulations, and web-based resources. I'll be able to create outstanding lessons in a shorter amount of time since many resources are easily accessible in this SciGuide.